Kaftans are perfect for any summer occasion. Kaftan dresses from the beach to parties. Purchase online in Australia with free returns. Wear a beach caftan to cover-up swimwear. Buy cool kaftan dresses for casual dos or a maxi and silks for parties under the stars. 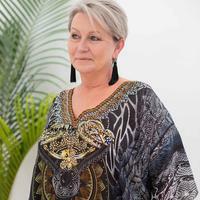 Our stunning online range of thoughtfully stylish, Australian kaftans are available in Sizes 10 to 20, each hand-picked for colour, shape, fabric and fit and include plus sizes too. The choice seems endless, but is all yours. We warmly welcome you to Sequins and Sand look forward to helping you to live your best summer!